The Fastest Basket Builder Award went to Master Gardeners Debbie Landry and Mike Pierce. 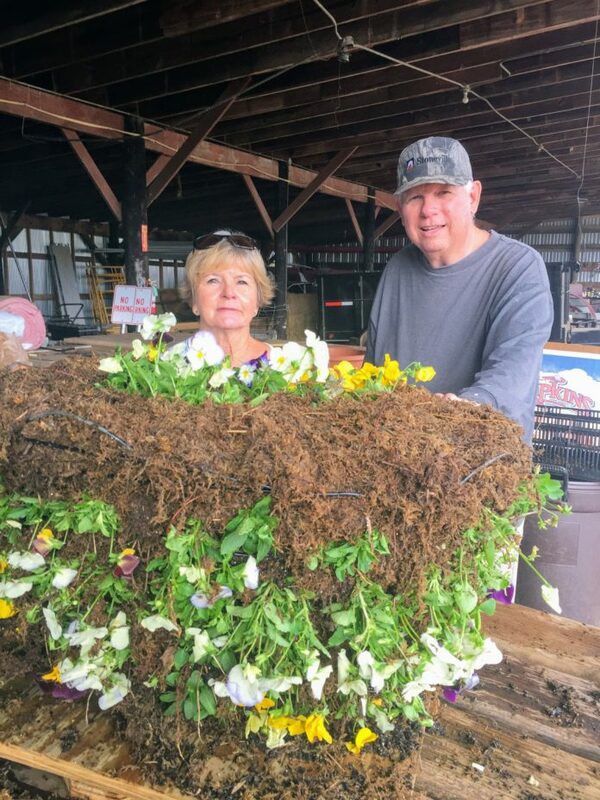 Have you seen the glorious hanging baskets on Front Street in Natchitoches and wondered, “How do they do that?” The Master Gardeners of Natchitoches Parish did, so they went to the source- Natchitoches’ Office of Community Development’s Beautification Crew. Matt Dillion was happy to teach them and since the best way to learn is by doing, he put them to work. The secrets to the lush displays are healthy plants, a good plan, two hours of labor per basket and more Sphagnum moss than you can imagine. The Master Gardeners enjoyed learning a new skill and helping the city’s beautification team.